REEL Movie Awards 2019 ceremony was full of endearing moments that will certainly be reminisced about, from time to time. News18 set the stage for honouring and rewarding low-to-medium budget films and content-driven Hindi cinema, one that is steered by the desire for creative and innovative storytelling and is not conveniently stuffed with glamorous stars at the cost of the narrative. The REEL Movie Awards night was bereft of starry dance performances and a whole lot of glitzy shebang that is conventionally associated with such an outing, yet the crisp and fun ceremony, hosted by Cyrus Broacha and Shibani Dandekar, produced endearing moments aplenty, which will certainly be reminisced about, from time to time. Alia Bhatt, who won the award for Best Actor (female) category for Raazi, walked the red carpet in a ravishing Sabyasachi saree. At the red carpet, she met her Gully Boy co-star Vijay Verma. Delighted to meet each other, they both embraced and posed together for the event paparazzi. In another instance, actress Rasika Dugal and Rajshri Deshpande met with costume designer Sheetal Sharma. Team Manto was reunited and courtesy some lady luck, Sheetal later took home the Best Costume trophy for his work in Nanadita Das' period drama. Manto's lady trio--Divya Dutta, Rajshri and Rasika also posed for the camera. Gulzar was awarded with the Best Lyrics honour for penning the soulful Dilbaro for Meghna Gulzar's Raazi. Divya Dutta accepted the trophy on his behalf and stressed on the legend of the poet, director and lyricist in her address. Divya also shared a heartfelt post for Gulzar on her Twitter handle, mentioning how special a feeling it was for her. Dilbaro (Raazi) earned Harshdeep Kaur and Vibhha Saraf Best Playback Singer (Female) award at the ceremony and even though the awards night was taut in line up, without additional acts and performance, the singers put some melody in the night by singing Dilbaro for the audience. Before breaking into the rendition, both singers expressed their gratitude for Shankar- Ehsaan- Loy (music composers) and Gulzar for writing the song. Taking the stage to present the Best Playback Singer (Male) trophy, director Anil Sharma (director of Gadar: Ek Prem Katha and The Hero: Love Story of a Spy), in a noble gesture, asked the youth, and everyone in general, to cast their vote in the upcoming Lok Sabha elections. 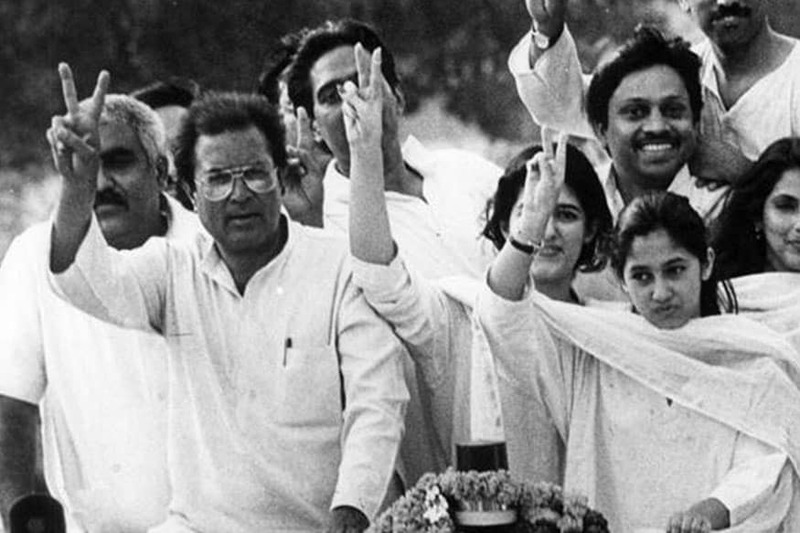 Cyrus was quick to take a dig at Sharma for being political on-stage, but Anil unabashedly moved passed it stressing upon the importance of the forthcoming electoral process. It was indeed a momentous occasion when Gajraj Rao, 47, raced ahead of the young guns of Bollywood to take home the Best Actor (Male) award for his work in Badhaai Ho. Earlier, jury member Dia Mirza had pointed out how it was a surreal experience for her to witness Ratna Pathak Shah, 62, win the Best Actor (Female) trophy for Lipstick Under My Burkha at REEL Movie Awards 2018. Dia had also pointed out how the REEL Movie Awards does not differentiate between the popular and the deserving, in each award category and how it fared well for the landscape of Indian films.